This post is some definition and technique taken from Design Thinker Academy and IIBA about stakeholder map. This technique is related with stakeholder analysis. I put some picture taken from 'Google' to enable us understand more about it. In it’s simplest form Stakeholder Mapping will help you to quickly create an overview, an helicopter view, of the stakeholders in your eco-system. 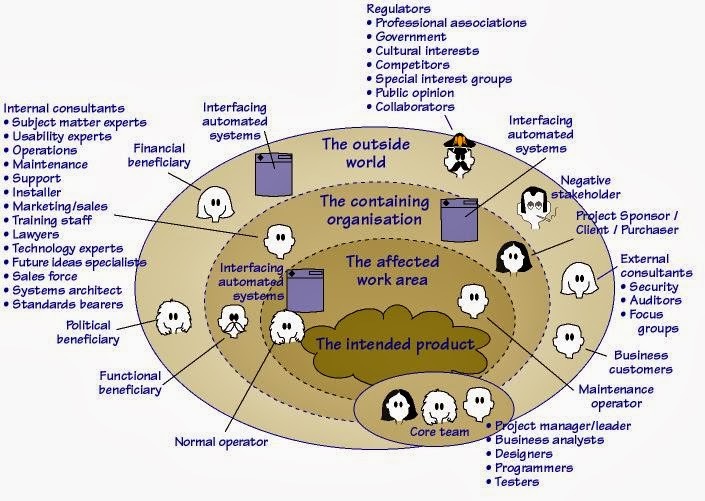 An oversight many organizations, or departments do not have visualized and made explicit. It’s an easy way to visualize and understand more of the context you operate in and the eco-system in which value is being created for all stakeholders. It will also allow your team to have conversations and get a shared understanding, develop a shared language, vision and decide on the most important areas for further exploration. 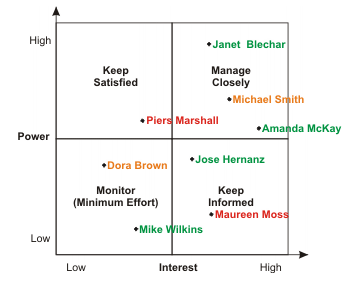 #A matrix mapping the level of stakeholder influence against the level of stakeholder interest.